On June 25, 2018, the Waltham City Council approved the acquisition of the Stigmatine property located at 554 Lexington Street for the purpose of building the new Waltham High School. 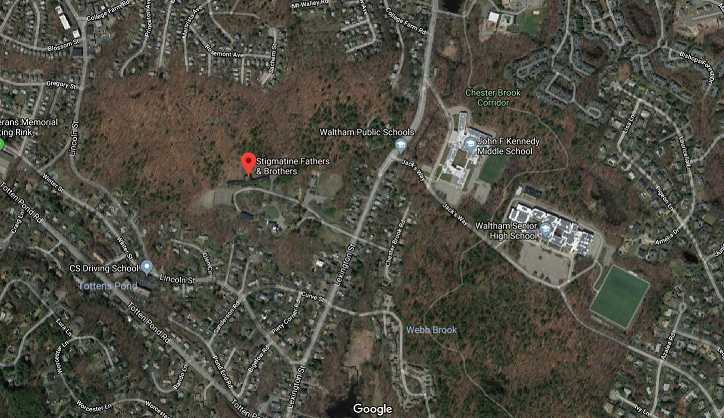 The decision to acquire the Stigmatines came after lengthy discussion of multiple potential sites by the Waltham School Building Committee, city officials, and the community. The Waltham Land Trust affirmatively opposed certain proposed sites such as the Storer Conservation Land, Paine Estate, and the Chesterbrook Woods, which would have required development of substantial acreage already designated and used as community green space, directly contrary to WLT’s mission. With regard to the Stigmatine property, multiple options have been discussed, some of which are consistent with our mission and others that are not. The Land Trust has therefore been awaiting more information about how the City intends to proceed in order to ensure it is fully informed before taking a position. On June 11, 20 18, WLT Executive Director Sonja Wadman met with the Superintendent of Schools, Dr. Drew Echelson. Dr. Echelson wanted to ensure WLT members are aware that the proposed high school site at the Stigmatines would allow for full preservation of the Chesterbrook Woods and Paine Estate and would not require development of land from either of these parcels. 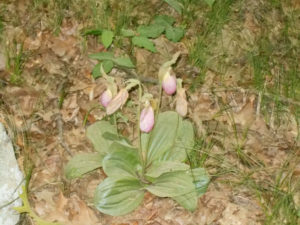 While WLT was happy to learn that the immediate risk to these other parcels is lessened, WLT remains concerned about the potential loss of natural habitat surrounding the border of the Stigmatine property, which includes mature forests, steep rocky hillsides, sunny outcroppings, a small wetland and intermittent stream, and lowbush blueberries and lady slipper orchids throughout. WLT would enthusiastically support a high school that provides for the conservation of this important natural buffer between the campus and the surrounding area, but will oppose plans that do not include conservation as an important priority. Our core responsibility at the Waltham Land Trust is to protect the City’s open space. WLT wants the best for Waltham’s students, and regrets that conflicts have arisen as important community needs compete for scarce resources. But as the sworn protectors of Waltham’s open space, WLT must be guided by its mission — to acquire, preserve or restore land in a way that balances conservation and access, maximizes the natural value of the land, reduces habitat fragmentation and permanently protects and conserves Waltham’s natural resources. WLT does so to ensure that our natural environment is protected for generations to come. The Land Trust’s long-standing policy has always been that if development must proceed on open space parcels, it should be permitted only after alternatives for re-use have been proven unfeasible and an open space parcel of comparable size and conservation value is protected in perpetuity. Development should be limited in size, concentrated in area, built with the best environmental practices available and strategically located to maximize preservation of the site’s natural resources. All of these principles are compatible with building a cutting edge educational facility on this land, provided the City chooses to make conservation a priority in its design. The Land Trust has considered this property one of the five largest parcels in the City at-risk of development in our Open Space Inventory for several years now. The WLT Board is also acutely aware that even more destructive development of the property, such as for a large-scale 40B development of nearly 500 units, was previously a real and serious risk. Now that the City Council has voted to acquire the Stigmatine property for the purposes of constructing a new high school, it is our understanding that the City will soon have the access necessary to conduct a more comprehensive study of the property. WLT looks forward to seeing more definitive plans for the site. WLT hopes and expects that whatever plans the City arrives at will demonstrate a commitment to conservation as concurrent priority together with building an innovative educational campus. Preservation of the natural environment must be part of our commitment to the next generation of Waltham. This can be accomplished with development within a constrained building envelope, structured parking to minimize land use, and plans that maintain trail and wildlife corridors and the connections to contiguous parks and other open space. The Waltham Land Trust has been grateful for the strong relationship we have had with the City of Waltham and the Waltham School Department since our inception. In response to our campaigns and our partnership, the City has acquired over 135 acres of open space and hosted several miles of the Western Greenway Trail, including on the current Waltham High School property. For our part, the Land Trust has trained and mobilized teams of trail stewards who watch over and repair the City’s open space assets. WLT brings Waltham’s open space to its residents, and especially its young people, with myriad educational programs, walks, volunteer days, and collaborations with the City’s network of non-profits and educators. Together we have been creating a legacy of conservation in Waltham. For more on WLT's position concerning the construction of a new high school, click here. Please note: WLT Board members George Darcy III and Stephen Rourke, who are/were also members of the Waltham City Council, board member Philip Moser, who is also a member of the Waltham Conservation Commission, board member Marie Daly, who is a also a member of the Waltham Historical Commission, and board President Dr. Nadene Stein, who is also a member of the Waltham School Building Committee, have not participated in, and where appropriate will recuse themselves from future participation in, the WLT discussions and voting on this matter.